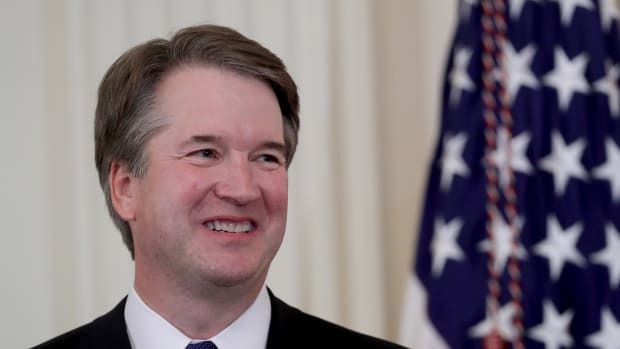 Less than two weeks after United States Supreme Court Justice Anthony M. Kennedy announced his retirement, President Donald Trump announced his pick to replace the court&apos;s swing vote: District of Columbia Circuit Judge Brett Kavanaugh. "This incredibly qualified nominee deserves a swift confirmation and robust bipartisan support," Trump said from the East Room of the White House Monday night. He called Kavanaugh "one of the finest and sharpest legal minds of our time." Kavanaugh, 53, was long believed to be the frontrunner on the president&apos;s shortlist. Trump reportedly wanted a nominee with a degree from Yale University or Harvard University, and Kavanaugh, a graduate of Yale Law School, was the only Ivy League shortlisted candidate. He also has a long history in Washington, D.C. The federal appeals court judge was a former clerk for Kennedy, a member of independent counsel Kenneth Starr&apos;s investigation of President Bill Clinton, and worked in the White House counsel&apos;s office under the Bush administration. 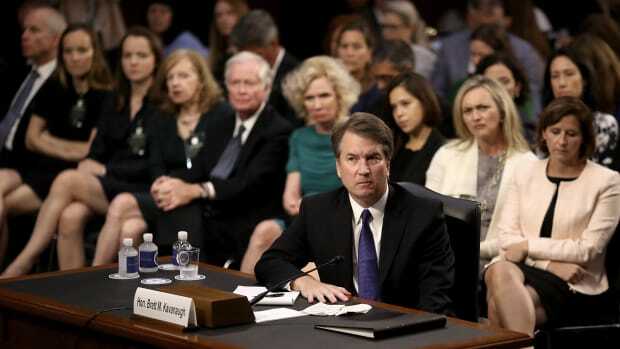 Still, Kavanaugh faces what&apos;s likely to be a tough confirmation process. Given Republicans&apos; narrow majority in the Senate, just one defection could derail his confirmation. Senators Susan Collins (R-Maine) and Lisa Murkowski (R-Alaska) are known to be swing votes, and, before the announcement, Senator Rand Paul (R-Kentucky) was reportedly not sold on Kavanaugh. 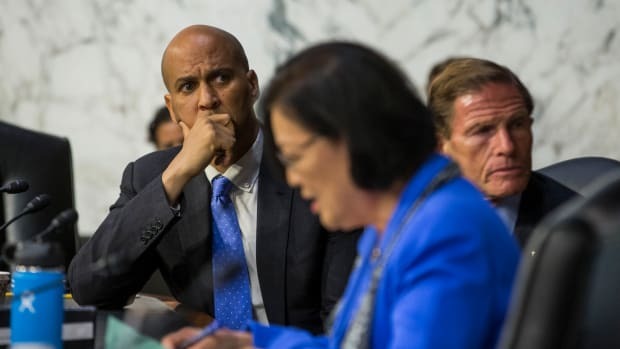 Senators on both sides of the aisle are likely to be interested in the judge&apos;s views on impeachment. 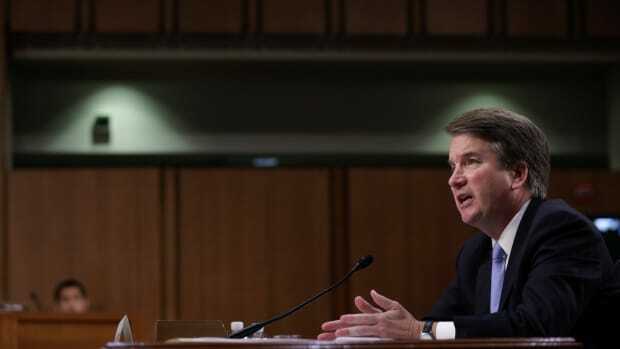 As the lead author of the Starr report, which called for Clinton&apos;s impeachment, Kavanaugh argued for a broad definition of obstruction of justice, which included lying to staff and misleading the public. 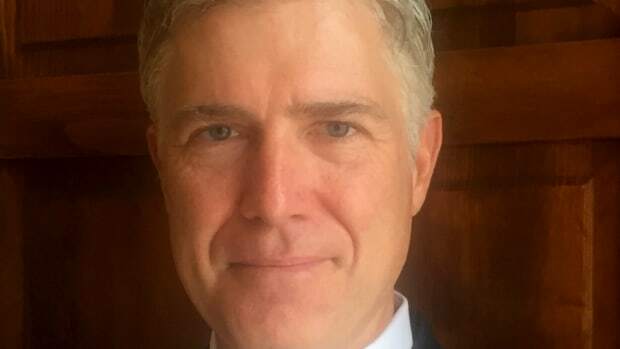 But in 2009, after serving under President George W. Bush, the judge changed his tune, writing in the Minnesota Law Review that sitting presidents should not be distracted or burdened with civil lawsuits or criminal investigations, which "would ill serve the public interest, especially in times of financial or national security crisis." Kavanaugh&apos;s record is solidly conservative, giving the right-leaning bloc of the Supreme Court a 5–4 majority and clearing the way for Republicans to take aim at legal precedents protecting abortion, LGBT, and voting rights.